I have written a lot about road-trips and I have been on many and a few weeks ago it was time to hit the road. This time with Mercedes-Benz again. 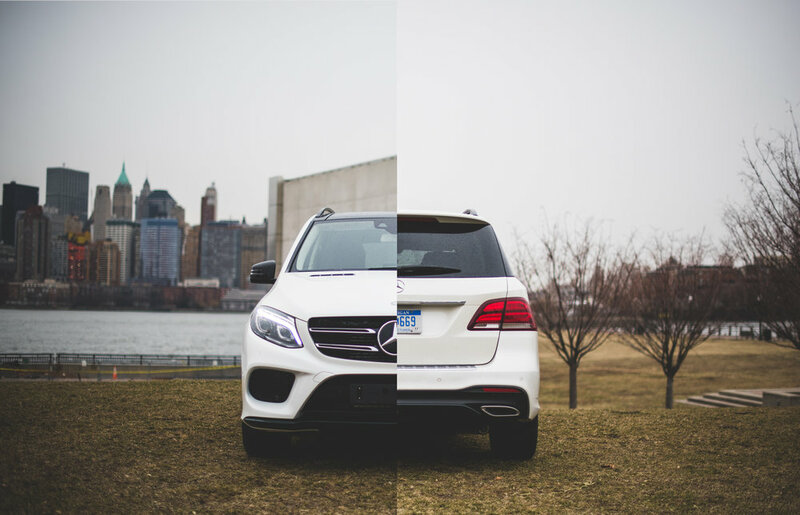 "Guarding" the new GLE from its birthplace in Tuscaloosa, Alabama to New York City. This post is kind of a teaser. Seven photos, six conceptual, one typical. I had a great plan. I also misjudged the trips timing, by a lot. Besides the split photos I had planned another type of shot. And it does only look good as a full set, which did not happen. Ah well. You win some, you loose some. So this is a teaser for the next post. Travel photography - #MBRT15 road trip.